Ohh the age old question, what is okay (and not okay) to wear to a wedding? Well, we’re here today with our wedding experts to clear this up for everyone. First and foremost, let’s start with the obvious. Don’t wear white! Just don’t do it! Don’t even think or consider the thought of wearing white or any color close to white! Unless the bride specifically states she wants every single one of her guests wearing white in her invitation, don’t do it. 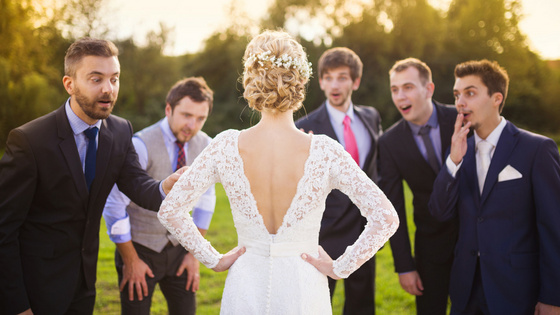 Not only will the bride shake her head and roll her eyes, her guests will be talking about you all night long. In addition to the actual wedding day, don’t wear white to any wedding festivities as well. This means engagement parties, bachelorette parties, showers, rehearsal dinners, brunches…etc. Don’t even wear a color that is close to white. If you have to ask “is this color too close to white?” then you’ve answered your own question. Steer clear of beige, champagne, cream, off-white, or any other super light color that could be mistaken for white. Even light yellows and pinks/blush can be tricky. You don’t want to take a picture, post it on social media and have people think you were THAT girl who wore white to someone’s wedding. WHAT ARE THE BRIDESMAIDS WEARING? This isn’t a make or break situation, but if you can avoid wearing the color or style of the bridesmaid dresses you should. These days with all of the mismatching bridal trends, it’s hard to accomplish this, so don’t beat yourself up if you have already done this. 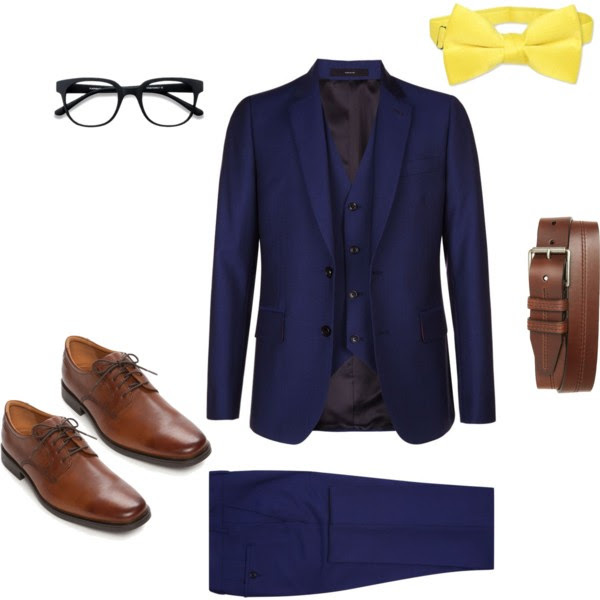 This is the most formal dress code out there, so you don’t want to mess around. Ladies: You’ll hear that a cocktail dress can be okay for a black tie wedding, but we don’t always agree with that. Depending on the length and look of the dress you can, but we’d rather not take that chance. If you’re attending a black tie wedding just wear a floor length dress. We’re not saying a full on ball gown – unless that’s something you want to wear. 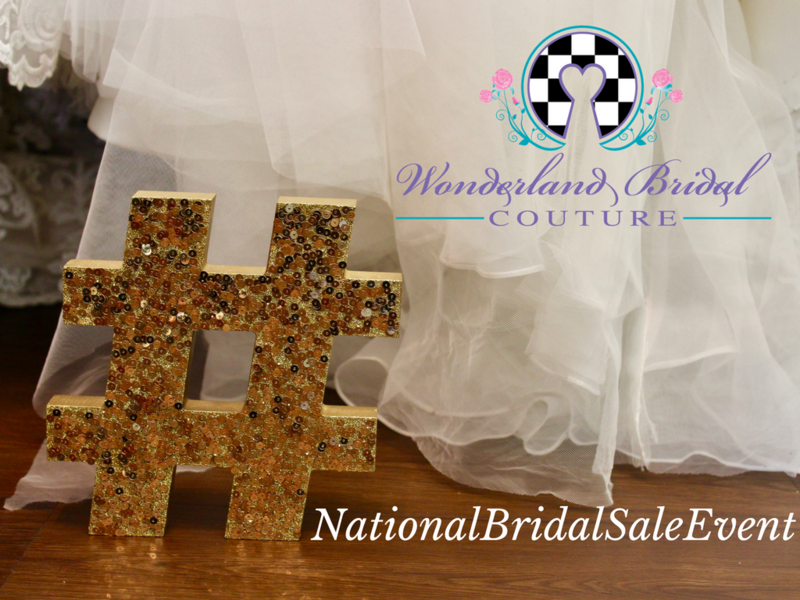 There are so many options out there and at Wonderland Bridal that you will be sure to find something that is affordable and adorable! Fellas: Same sentiment. Don’t take the chance of being underdressed. You should be wearing a tuxedo. Again, there are so many options out there for you to remain fashionable and dressed appropriate for the integrity of the wedding you’re attending. Ladies: If you ask a lot of wedding stylists out there, they will say you shouldn’t wear anything but a floor length dress under these dress code terms as well, but we don’t necessarily agree with that. This is where your chic cocktail dress can come into play. Consider the length and formality of what the bridesmaids are wearing and venue where the wedding is being held to help you make this decision. Fellas: Another wedding you should consider wearing a tux to. 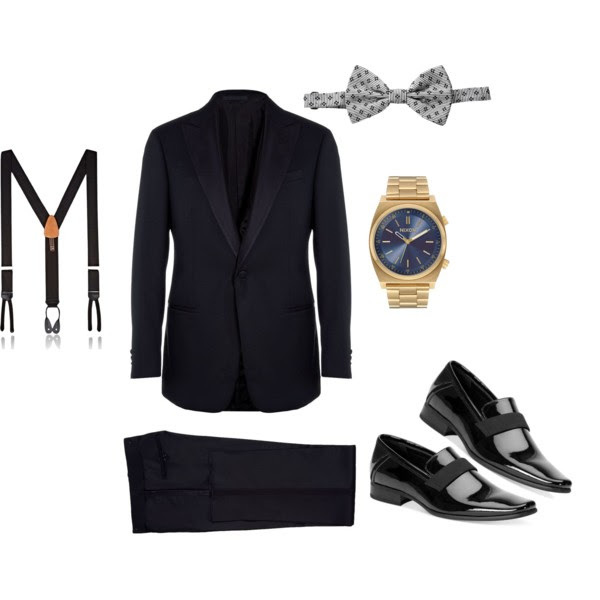 If not a tux, consider a formal dark suit and tie. Ladies: This dress code can be intimidating in a way because of the amount of options out there. Dress somewhere in between formal and casual – for a lack of a better word. Consider the time of day the wedding is taking place. For a morning to afternoon wedding, consider pastels and light fabric. For an evening wedding opt for darker formal hues. 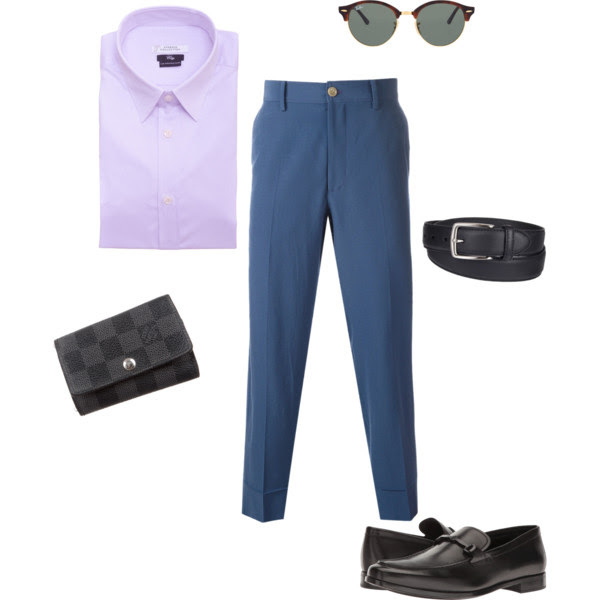 Fellas: Consider dress pants, linen pants – if you’re going to a beach wedding, and pair them with a button down shirt or polo. We certainly hope we have cleared up any of your questions and concerns regarding dress codes at weddings. It can be a very tricky and sensitive topic for people, so return back to this blog post if you ever have any questions in the future. That’s what we are here for! First and foremost, we have to acknowledge what happened last week with Alfred Angelo. We feel for all the brides who have been directly effected by the latest developments in their business, and want to help in any way we can. For the past week we have been FLOODED with phone calls, emails and visits from brides and their family members with tears in their eyes, but hope in their hearts. Guess what? There is always hope in Wonderland! 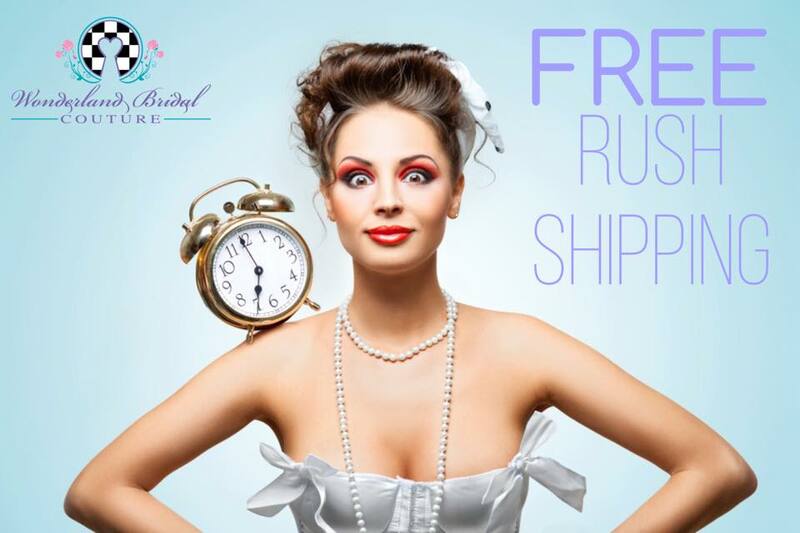 In lieu of the “Alfred Angelo drama“, we will be offering FREE RUSH SHIPPING on all of our wedding gowns at Wonderland Bridal (subject to availability per designer). We’re not the only business wanting to help! Fellow local wedding businesses are going above and beyond to help their South Florida brides. Gizella from GEMakeup Artistry & Hair is extending her services to brides in Broward, Maimi and West Palm Beach by offering complimentary bridal hair and makeup to an AA bride who books 5 or more bridesmaids with her for day-of wedding hair and makeup. Good morning my beautiful #brides #bridetobe #bride and #bridesmaid! Those bridesmaids will also receive a discount on their services on top of that as well. To get in touch with Gizella to learn more about this opportunity, email her at GEMakeup@aol.com. Be on the lookout for other promotions and discounts being offered by other local wedding businesses. Take a deep breath ladies, everything will all work out! If you or someone you know is in a bind due to the recent developments surrounding Alfred Angelo, please reach out to us directly via email at info@wonderlandbridal.com or over the phone at (954) 973-8695. Call it a coincidence or call it fate, but in the midst of everything it also so happens to be the week of our National Bridal Sale Event! Now through Sunday, July 23rd you can receive exclusive savings (see below) on some of your favorite designers: Allure Couture • Stella York • Sincerity Bridal • Ashley & Justin Bride • Pronovias. 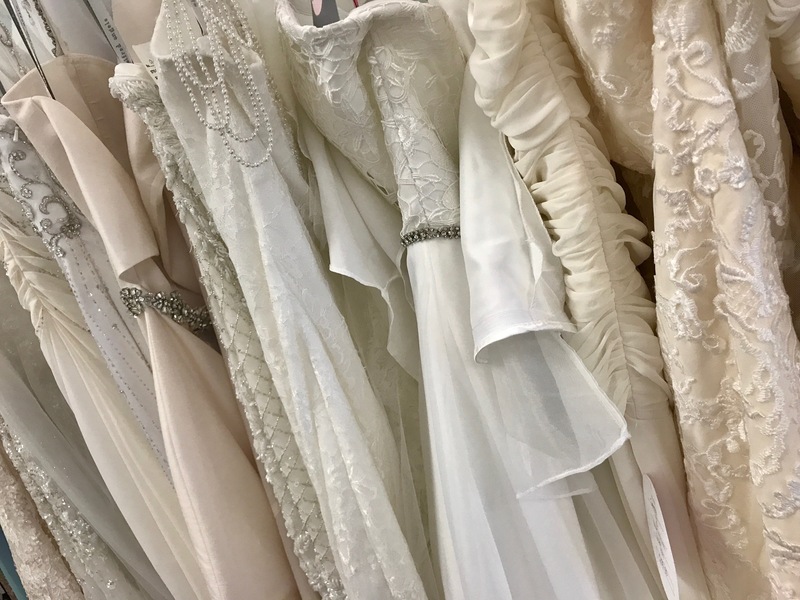 Here’s a sneak peek into some of the many dresses you can expect at Wonderland Bridal during our National Bridal Sale Event. 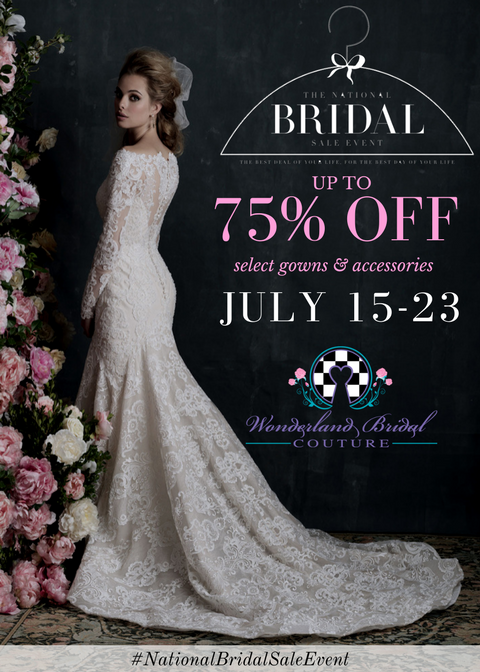 **For more information about our Bridal Sale Event or to schedule an appointment email info@wonderlandbridal.com or call (954) 973-8695.